Axiom Verge is Available Free for a Limited Time! Epic Games has partnered with Thomas Happ Games to offer the critically-acclaimed Axiom Verge for free on PC inside the Epic Games store. You can login and download it right now! 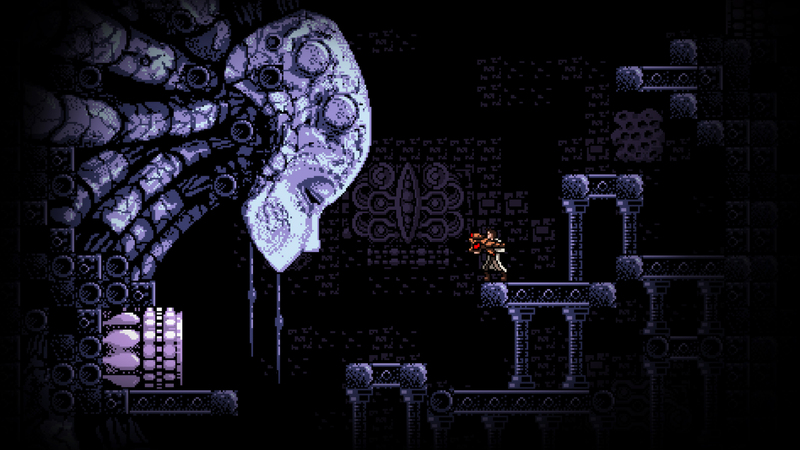 In Axiom Verge, you play as a failed scientist who dies in an accident, only to awaken in a mysterious, alien world. Explore and uncover the mystery of a surreal alien world by blasting aliens and glitching your environment in this intense, retro side-scrolling action/adventure. Axiom Verge is free to download until 10:59AM EST on February 21, 2019. Best of all, once you grab the game, it’s yours to keep!